Mommy's Idea: Win a Poingo Starter Set! Where Books Come Alive! I received my Poingo Starter Kit and wasn’t sure what to expect. My son is almost two and LOVES to read, so he was a a young, but willing tester. (They recommend ages 3 to 7.) He was immediately attracted to the box and asked for help to get out the books. While he is too young to read everything (and in some kind of sequence!) he really enjoyed pointing the special pen and hearing the words and the sounds. Even pointing to the pictures has some wonderful sound effect! You have to check this out. It is such a fantastic product. 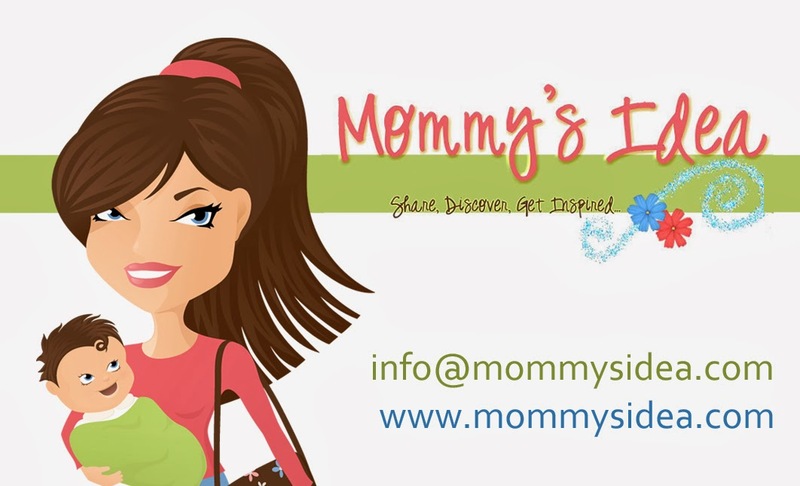 And we’re giving away a starter kit to one lucky Mommy’s Idea reader! 2. Come back here and leave a comment telling us something you learned about Poingo or the book you would choose. Contest ends at 11:59 PM EST on Wednesday, February 11, 2009. I'd get the Cinderella book for my little girl. Thanks! My daughter would love the Lion King book!! My granddaughter would love Cinderella. This is a great system. Thank you! I think my boys would love the Finding Nemo book! I think Poingo sounds great! My kids would love "Pooh's Wishful Thinking"! I like the different varities of books they have to offer. The Poingo provides a downloadable content manager to manage books. They also have the user/instruction manual online in cae you need to reference it. I purchased the Poingo set for my 4 yr. old granddaughter for Christmas and she just loves it. The problem now is she won't share it with her 2-1/2 yr. old sister and fights break out. So I would love to win this Poingo starter set for the 2-1/2 yr. old. I would like to get the Lion King book for her:) Terrific giveaway! Neat item... I see you don't really need a manual, just turn it on and touch the page. This would delight my nephew who is getting very interested in learning to read. He would like Finding Nemo. My kids and I would LOVE Nemo, we saw the show at Disney World. My grand niece who is a real girly girl would love the Cinderella one. Even though she is only 3, we have gotten into some deep conversations about Cinderella. Thanks for the great giveaway! This would be great for my son. He'd particularly like the Disney Cars book. The poingo allow music and sound to come out and assist the child in reading. My 3 yr old nephew so desperately wants to learn to read. His 2 yr old brother does too. My son would flip for the lightning mcquene book. I found out that Poingo uses an infrared scanner to "read" microscopic symbols throughout the book. I love books as well as my cildren and the youngest would love The Lion King. My neice would love the Princess set available this spring. I would choose the Winnie the Pooh book for my little one! My daughter's a new Winnie the Pooh fan, so that would be the one I'd love for her! And, I TWITTERED about this give~away.......user name: leahita. my kids would LOVE this! they love the LeapPad but this seems so much cooler! my boys would love the disney cars book while my daughter would love the cinderella book. What a fun product! I love that Disney Princess: Magical World book comes out this spring. We are big fans of the Disney Princesses in this hous! I would pick the Disney Princess book. I would pick Pooh's Wishful Thinking because my son loves all the Pooh characters! It would be so nice to have a Poingo set for when my grandchildren come to visit. The book that I would like to have would be the Disney Cars book..for my grandson. He loves everything Cars. My grandson would LOVE the Cars book! I would choose The Lion King! I would love to have this for my daughter (her Leap Pad is missing all the cartridges and is now useless). I'd get her any of the Disney Princess books. Isn't Poingo amazing? I purchased the same Poingo Starter kit last Christmas for my four year old granddaughter, thinking that she would share it with her 2-1/2 yr. old sister, but she won't. I can't afford to buy another, so I hope to win one. My favorite book is Disney Princess: Magical World, coming out in Spring 2009. Fantastic giveaway! My daughter would love the Sleeping Beauty book. I subscribe to your e-mail feed. I would love the Lion King book! My son would love the lion king book. Both of my sons have the leapfrog systems. We haven't tried poingo yet! My son would love the Cars book. We almost got him one for Christmas -- bought it and everything but then returned it so we could spend the money elsewhere -- he was so sad when we took it back. My son would love the Cars book! I would love to win the Poingo Starter Kit for my granddaughter. I know she would get hours of fun "reading" the books. I learned that Poingo uses an infrared scanner to "read" microscopic symbols hidden throughout the books. My favorite book to get would be Cinderella. My son would enjoy the Pooh book. I learned that the poingo has an infrared scanner that reads microscopic symbols on the pages of the book. We would love cinderella and sleeping beauty books. We would love to try this! I would have to get a princess book and cars book for my preschool class. The Cars book would be great! The Poingo provides a downloadable content manager to manage books. Thanks for the chance to win. Pooh's Wishful Thinking /What are great book! I am also a subscriber to newsletter! The little one in my life loves books and wants to read so bad. She would get a lot of use out of this and I know her pick would be Cinderella! Thanks! Every little girl wants to read a fairy tale. I would choose the Cinderella book! I learned that you can purchase and download more books from the Poingo website. Added your page to my google reader. My daughter would love the Cinderella book. I think almost every little girl has dreamed of being Cinderella! Thank you for the opportunity to participate in this giveaway! The Lion King for sure!!! Family favorite. I would have to go with the Finding Nemo Undersea Search or the Cars book. Thanks! My two year old son has become obsessed with the movie Cars and has like 6 of the Fisher Price Shake 'N Go cars from the movie. He LOVES them and would love this! Thanks! I would chose the Cars story This would make a great gift for a great family friend. THank you. I would choose the Winnie the Pooh book! I Loved the Disney Princess Set ! It would be a hard decision, but I think I would choose either Cinderella or Lion King for my daughter. My kids would love Finding Nemo. my daughter would love the sleeping beauty and my son would love the lion king. this sounds like an awesome giveaway. thanks! I would choose The Lion King book. I would like the Cinderella book. My grandson is a Cars fanatic. So this would be wonderful for him. I put Ellie Bags button on my site. Signed up for your feed. Pooh's Wishful Thinking would be my choice.